Grettings everyone, my name is Joseph and I drive a 2008 PW GT Convertible. 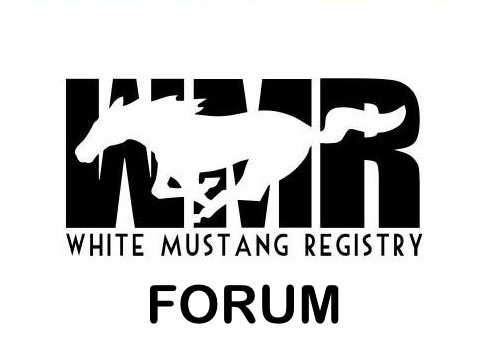 I'm a memeber of the Magic City Mustang club out of Birmingham and also a MCA member. 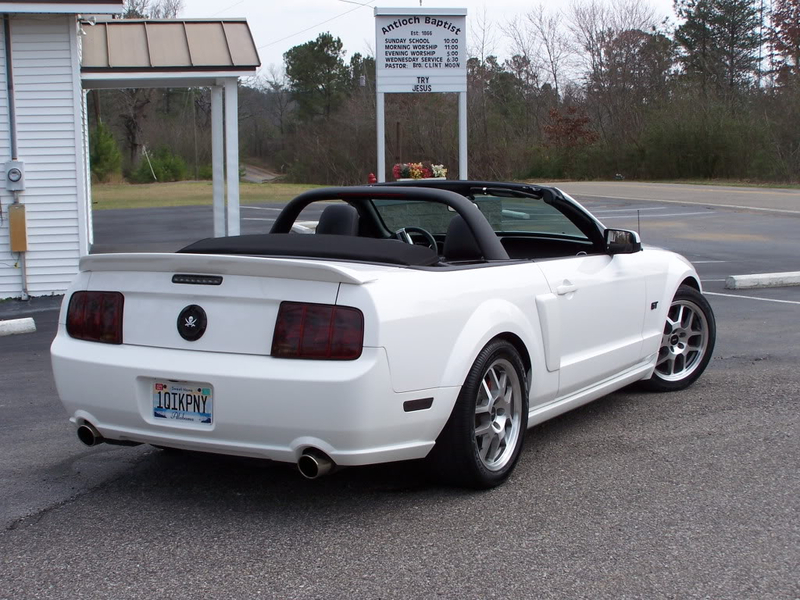 Performance Mods: 93 Race Bamatunning, Roush CAI, Flowmaster exhaust, FRPP 3.73 gears. 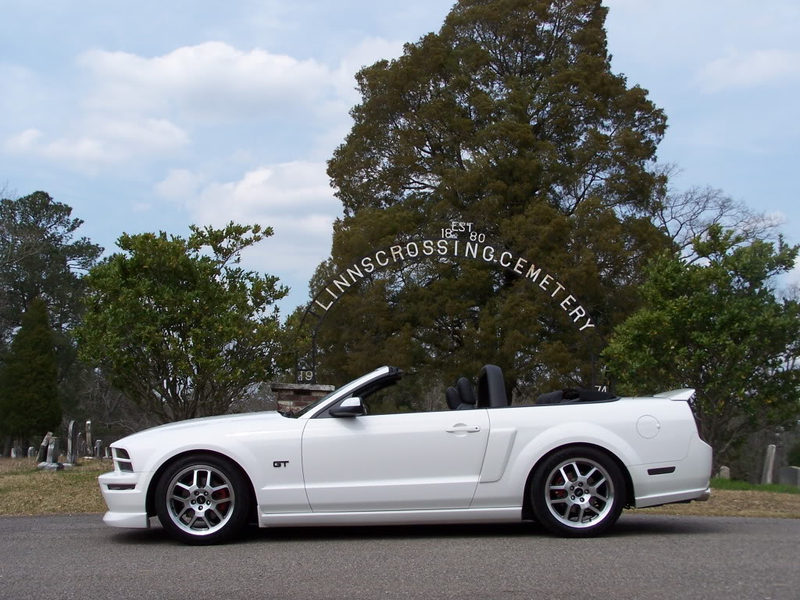 Suspension Mods: Roush Stage 2 Suspension, Roush lowering kit, Ford Racing Bullitt Strut Tower Brace. 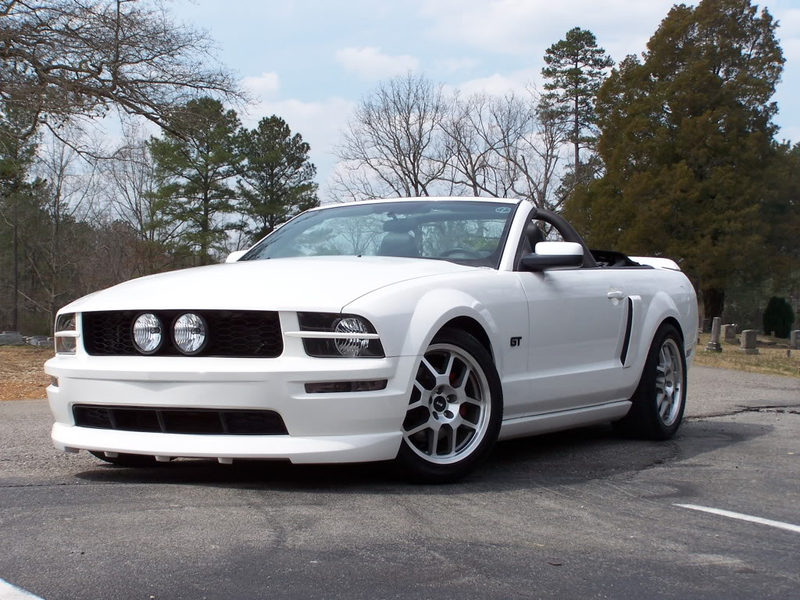 Under Hood Mods: Midwest Auto Gear Shock Tower Covers, Redline Tuning Hood Struts. Exterior Mods: GT500 wheels, GT500 spoiler, Light bar, head light splitters, Eleanor grille, 3D Carbon chin spoiler, Smoked corners, Smoked Third Brake Light, Smoked Side Markers, Smoked tail light tint, G2 Painted Calipers, 6k HIDGuy HIDs head lights and fog lights, Painted GT Badges, Custom/Painted Faux Gas Cap decal, Tinted Windows, 8" Shorty Antenna, painted mirror covers, LED License Plate lights. Interior Mods: Katzkin Cobra seat covers, LED Dome Lights, Cobra 12v Plug. 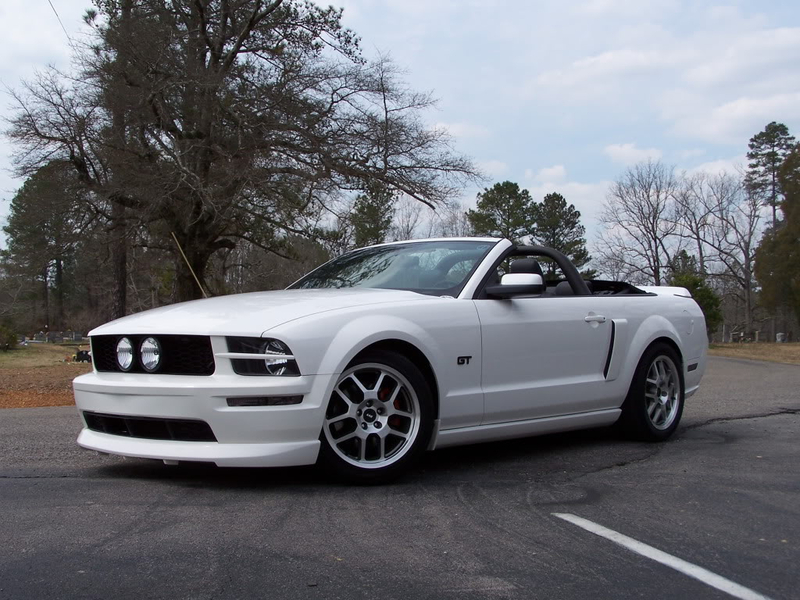 Future Mods: Comp Cams, Pypes LT Header w/ High Flow X Pipe, delete plates, Under drive pullies, Torque converter, TCI Ratchet shifter, engine dress up, aftermarket hood(GT-S). Nice looking mods, love those white converts!